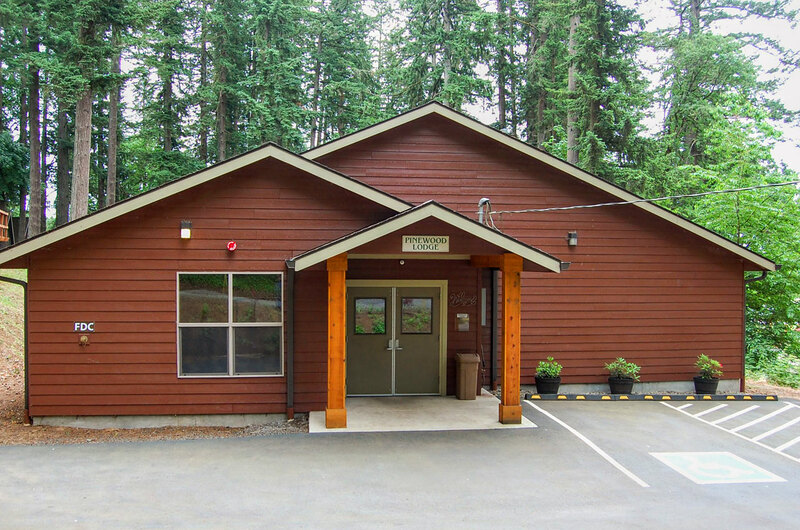 Pinewood Lodge is a great facility for small groups of 20-30 adults. It also gives more flexibility for larger groups wanting to utilize the lower camp. 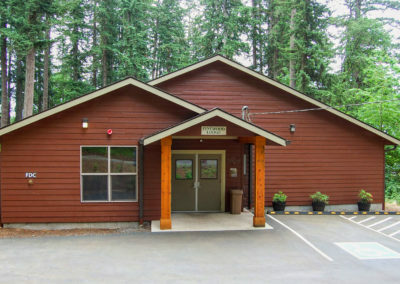 In addition, during the summer it can house up to 45 youth for large youth camps. 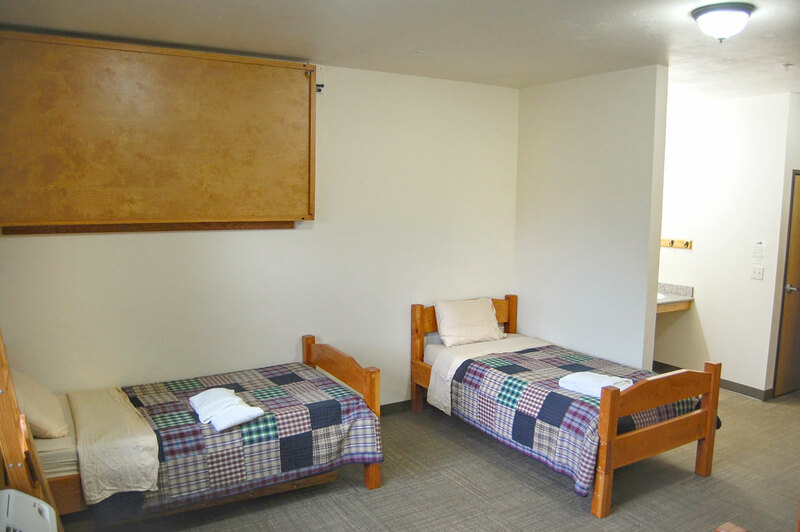 Six of the rooms will sleep up to four people on lower beds, including a queen bed and three twin beds. 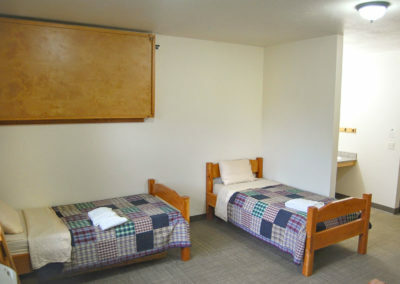 Each room also has fold down wall beds, for a capacity of 7 total per room. 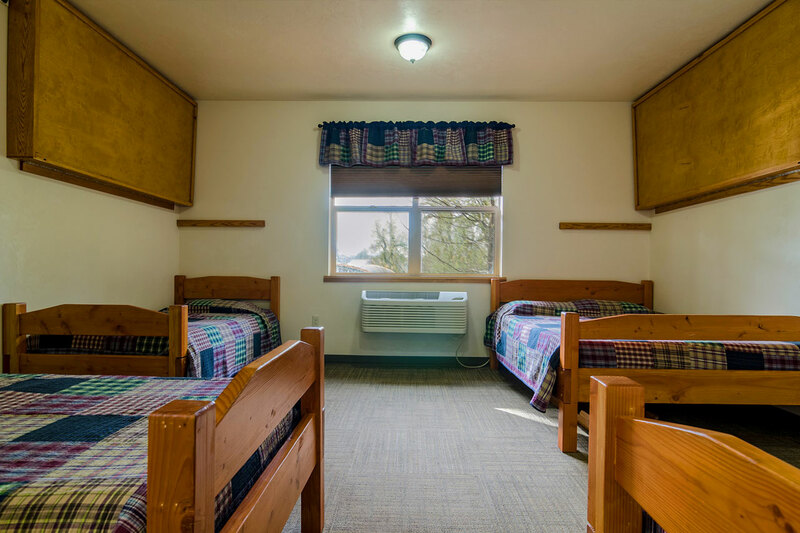 Room six is a fully handicap accessible room with a queen bed, a twin bed, and a fold down wall bed. All rooms have their own private bathroom, shower, and 2 sinks. Linens are optional. Wireless Internet access is available.